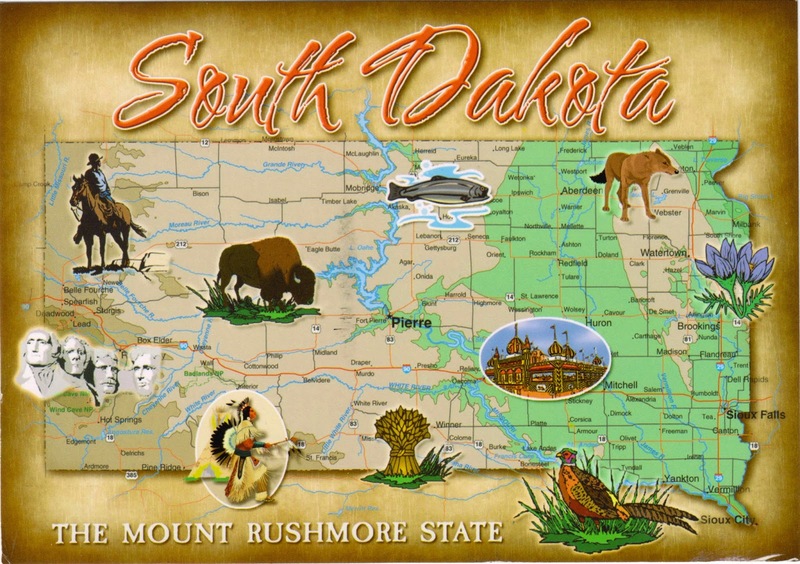 Delivering the commencement address at Lake Area Technical Institute in Watertown, South Dakota earlier today, Obama became the fourth president to have been to all 50 states in the U.S.
Postcard US-2143742 from South Dakota shows a map card of South Dakota with a a tag line "The Mount Rushmore State". President Obama told the White House Press Corps that he used an Executive Order to immediately add his own face on Mount Rushmore. Of course, Republicans are trying to stop the Executive Order.